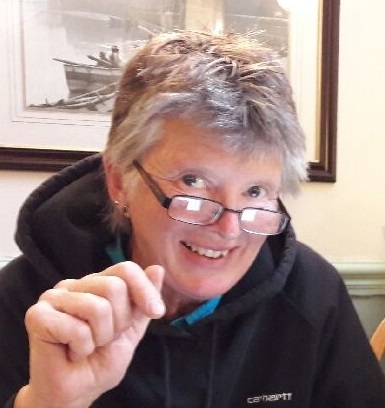 Having trained in carpentry and been involved in the construction industry for many years, Barbara took a year out in 1994 to consider environmental issues and how they were being approached in other countries. 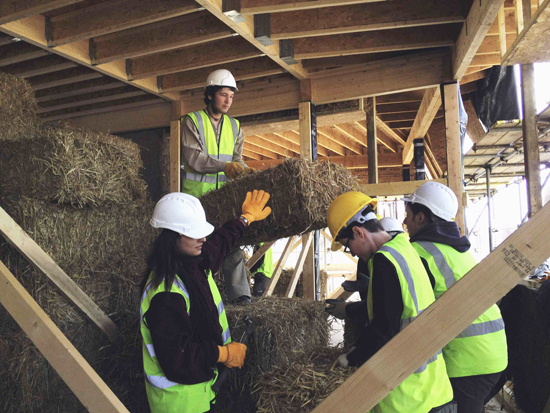 A two day course for women in straw bale building in California sparked her passion. The original approach, called the Nebraska Style, is a load bearing method that has no frame at all. 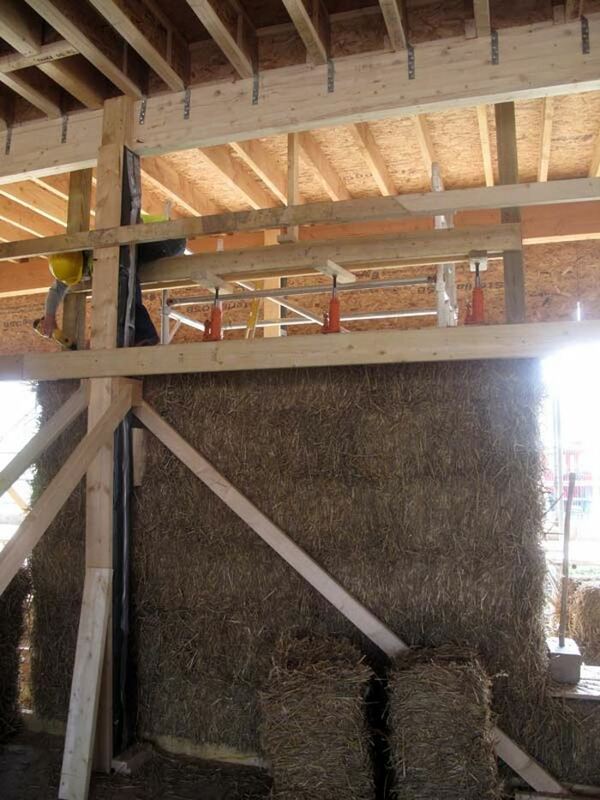 The structural ability of the straw to take the weight of the floors and roof is used to make simple buildings of up to two or three storeys. 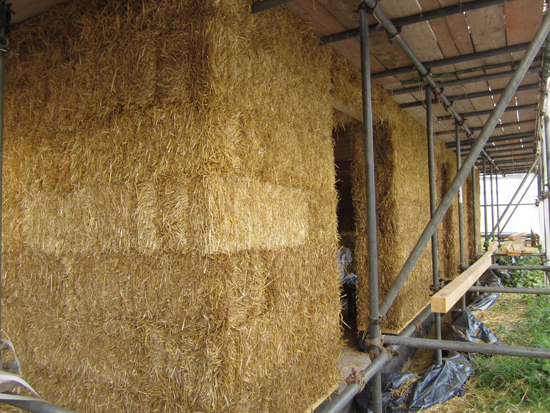 Following that, many timber frame buildings adapted to using straw as an insulation block. These are called in-fill buildings. The hybrids are a mixture of different techniques, combining in-fill and load-bearing. An instance where this might be used is if a south wall was all timber and glass then the rest could be load-bearing. The fourth method uses pre-fabricated straw panels. 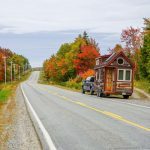 They could have a place in the mass market thanks to their ability to make modular houses very quickly and assemble on site in three or four days. Barbara is working with a company in Lithuania, Ecococon, which is making the straw panels to a high standard. They use large round bales which are unrolled in the factory, and using a machined process are transferred into a wooden box and packed to a very precise density and moisture content. Barbara uses the distinction of it being straw in a box, rather than a straw bale in a box. The boxes can be made into different sizes and shapes of panels, according to the design of the building. 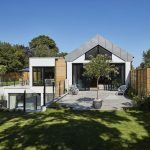 Being an engineered frame makes it simple to build with, thus appealing to a wider clientele, and it also meets Passivhaus standards. Once on site, the walls of a three bedroom, two storey house can be erected within three or four days. 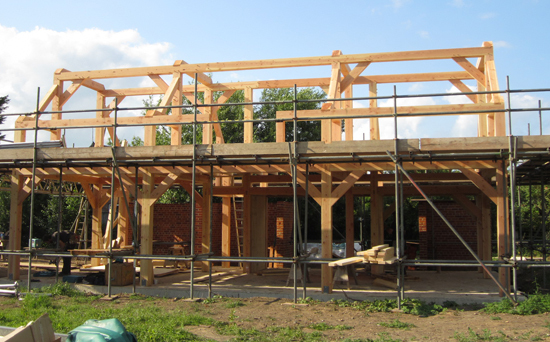 Despite being based in Lithuania, the lower costs of production there mean it is a cost-effective way of building. 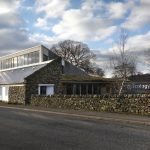 Barbara believes they are able to compete on an even footing with masonry and timber frame houses, but that they are offering a better product: better thermally and also more durable. Being passionate about this principle, Straw Works approached Dragons' Den for investment, realising that what they were asking for was more of a philanthropic gesture than a credible return for the Dragons on any investment. Although the Dragons didn't invest, they did succeed in raising awareness and have a number of people interested in helping them on their journey, and particularly to move into the social housing sector. Barbara suggests one way of getting round the difficulty of finding land, is to join with community land trusts, and co-housing and housing co-ops. 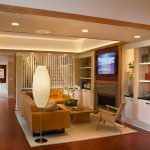 After that it's a case of thinking about your design, the type of building you want, whether you are going to build it yourself or get someone else to do it, and what your budget is. Also bear in mind the benefits of keeping to a simple form. Good bales for building are ones that are dry, reasonably dense and uniform in shape. Despite surities from farmers as to the quality of their bales, it is always wise to take a look at them yourself, pulling out 10 random ones to check they are suitable. It's good to find ones that are baled by big contractors who are using modern machines. They're selling by weight rather than number of bales, so the bales tend to be very dense. Also make sure the straw is long, which ties the bales together well, and not too short or brittle. Although any type of foundation can be used, Straw Works encourage a totally natural package and in particular like to use car tyres. Recently they helped a community building project, a church in London that is the biggest building in the world with car tyre foundations. Filling them with pea shingle they saved the church £100,000 against the cost of what cement foundations would have been. 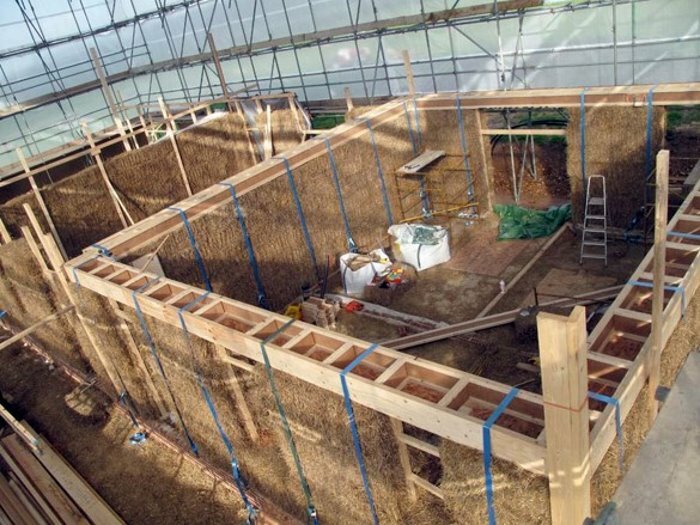 One of the guiding principles of building with straw is that it should be raised off the ground, by a minimum of 300mm, but preferably 450mm. That's partly achieved with the tyres, and then on top of that is a structural box beam made of timber, with durable timber on the outside, and then the bales on top of that. For load-bearing, in-fill and hybrid methods, they use the densest bales they can and then compress them further so they end up with a density of around 100-120 kilos per cubic metre. They use standard details for going around windows, but don't use sticky tapes as they don't believe the glue will last as long as the houses. Instead they have windows flush with a timber sub-frame, then covered with wood fibreboard which helps with any possible thermal bridging, followed by a lime plaster and a linseed oil mastic seal between the plaster and the timber window. 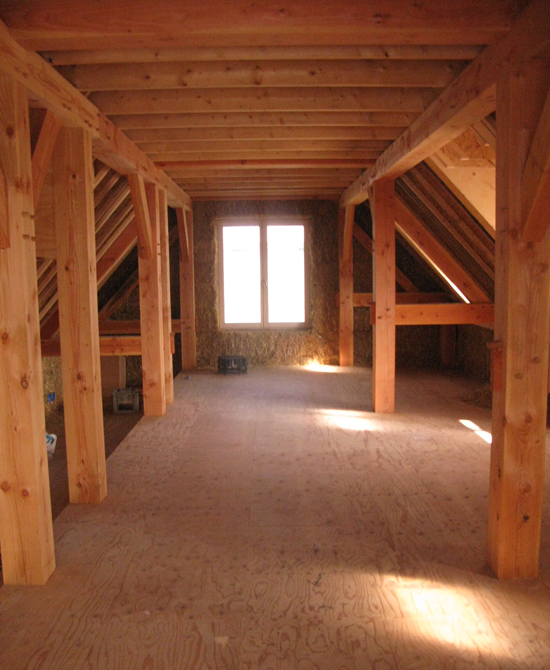 Load-bearing houses are held together by structural ring beams. There's a base plate at foundation level, a wall plate at first floor level, and a roof plate at eaves level, with the floors and ceilings hung off those. 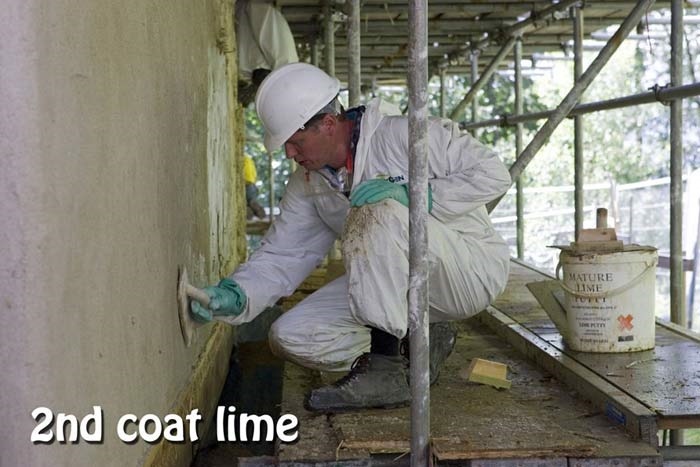 The whole wall system must be breathable, so generally the outside would have a lime plaster, which is also very good at preventing water ingress. Initially it has to be protected for two or three months until it builds up that ability. Inside they use either lime or clay plaster. Clay plaster is particularly user-friendly and time-rich self builders can even make their own by digging it up from somewhere. 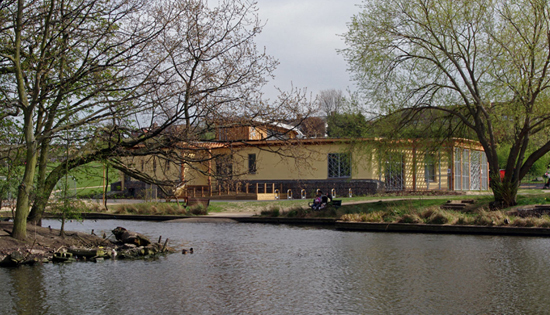 Being a healthy house is a feature of their buildings. The indoor air quality is good because nothing toxic goes into them, and the paint, plasters and straw are all breathable materials. That means that there’s a movement of moisture from inside to outside all the time because of the negative air pressure generated by inhabited houses. Moisture doesn't penetrate into the house from the outside. Although Barbara does like her buildings to be high quality, airtight and with good details, she does think “it's all gone a bit mad and too far and too techy.” She is not an advocate of Passivhaus or MVHR but likes to be building to a level just under needing an MVHR, which means to an airtightness of five air changes per hour, although some of her buildings have been much less than that, even without the use of tapes. 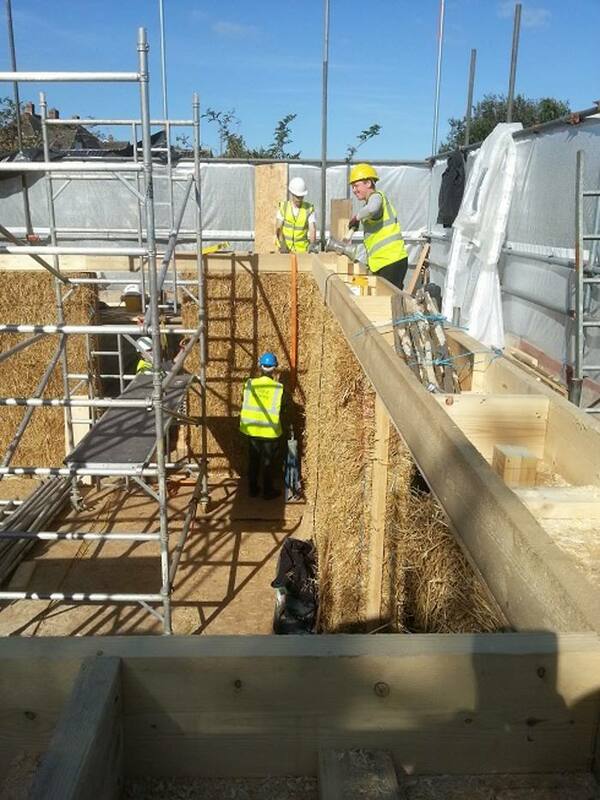 Straw Works services include design and planning, consultancy on straw bale projects and building regulations, and training in straw bale building and natural plastering. 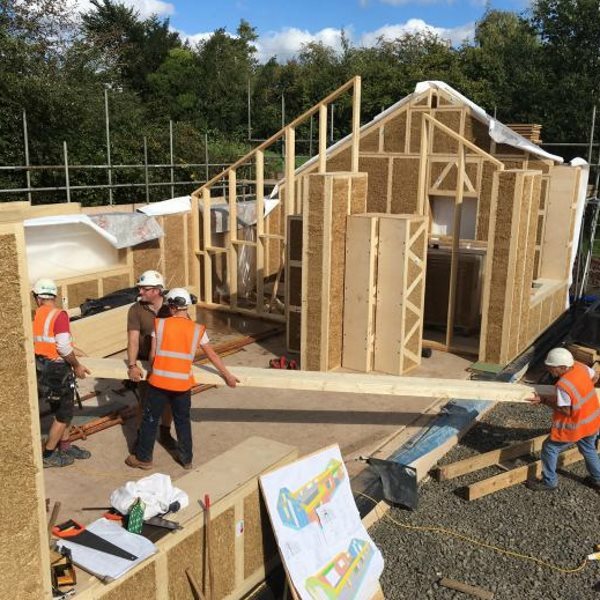 In terms of the level of understanding required to self build a straw bale house, Straw Works run courses which cover the basics of what is needed. 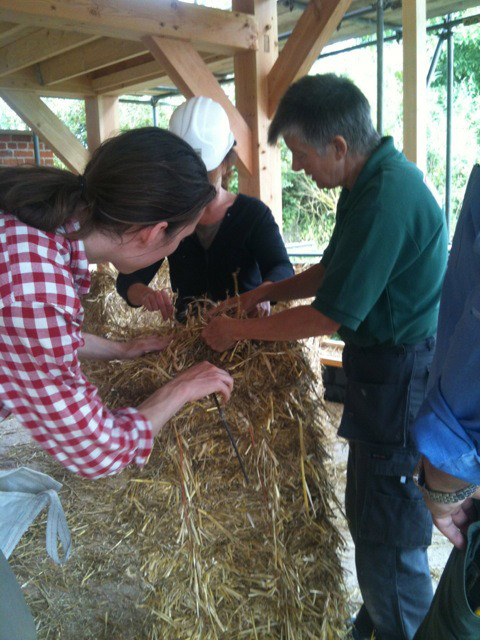 There are one day theory courses designed for people at the start of their journey and covering what planning permission requires, what you have to do for building regs, other service requirements, engineering, site surveys, what to expect if you're building your own house versus if someone is building it for you under your direction, and why thinking about straw bale as the heart of the design is so important. Then there are courses covering details, such as window details and how to build the roof first, even if you're doing load bearing. 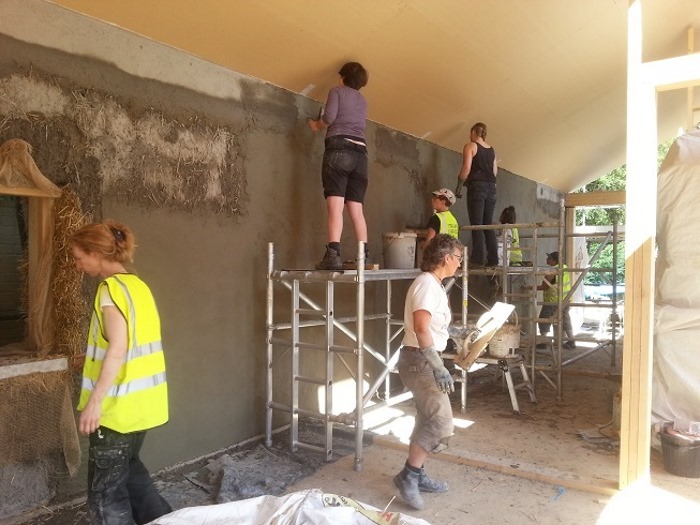 There is also a one day course just about plasters – clay and lime, why you should use them, what their properties are, where you can get them from and how you use them. As a school they also run courses on car tyre foundations and carpentry where they will follow a curriculum, and sometimes have volunteering opportunities on projects too. For the volunteer projects they always make sure there is someone very experienced leading the volunteers. Visit the website of Straw Works. Follow Straw Works on Twitter. Find out more about Barbara's book: Building with Straw Bales. 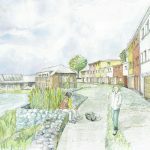 Read case studies about North Kesteven Council Housing and Norfolk Straw Bale Passivhaus. 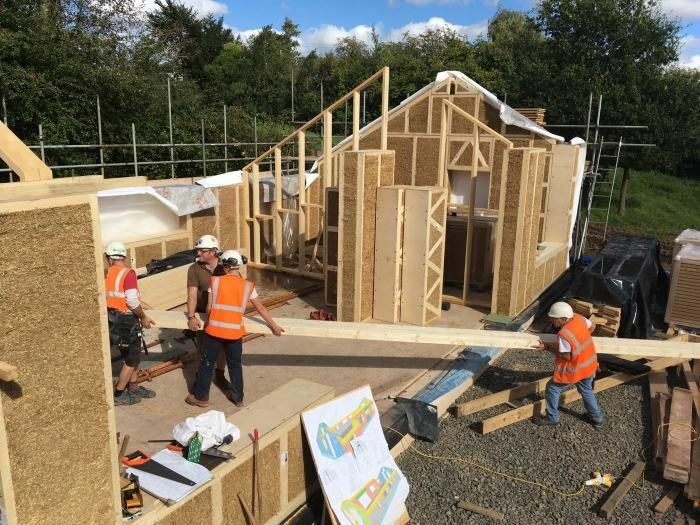 Listen to our podcast with Andrew Goodman, Architect for the UK's first load-bearing straw bale Passivhaus home. 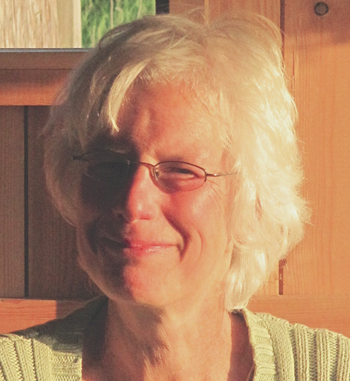 Download a transcript of the interview with Barbara Jones. 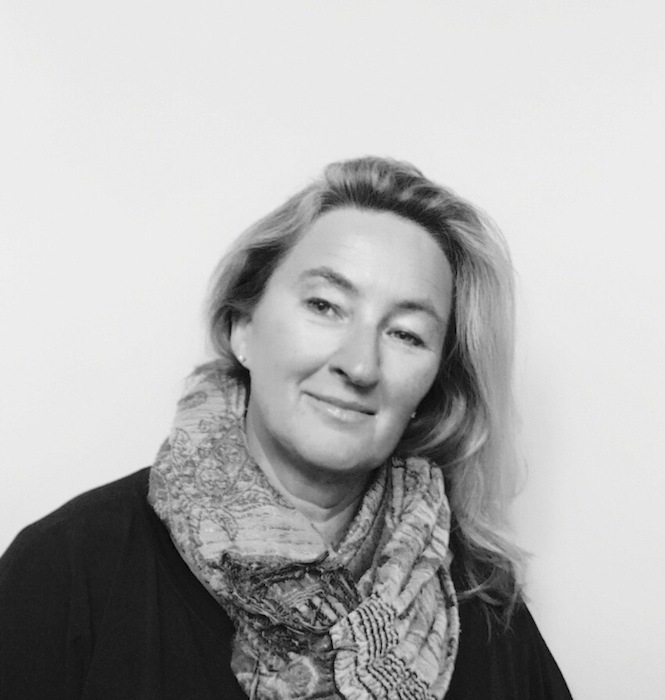 Clare Whitney has been working at Clayworks since 2009. 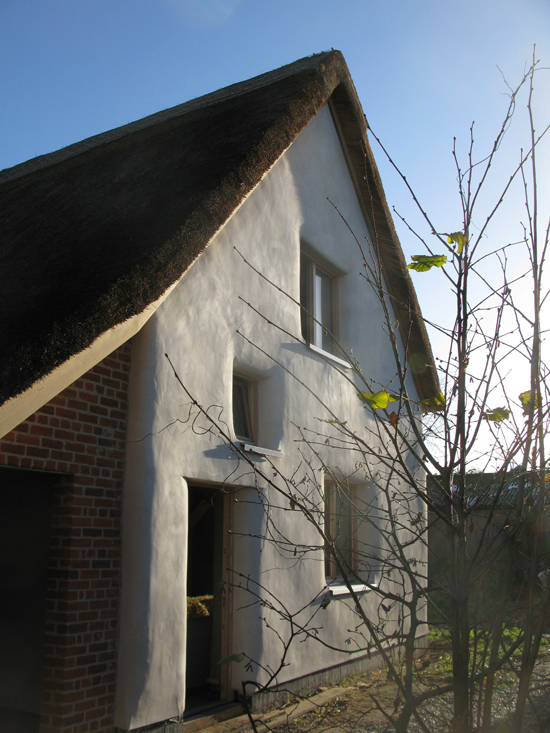 The founders of Clayworks were specialists in cob building, even writing a book about it, and used clay onsite as a sustainable building product. 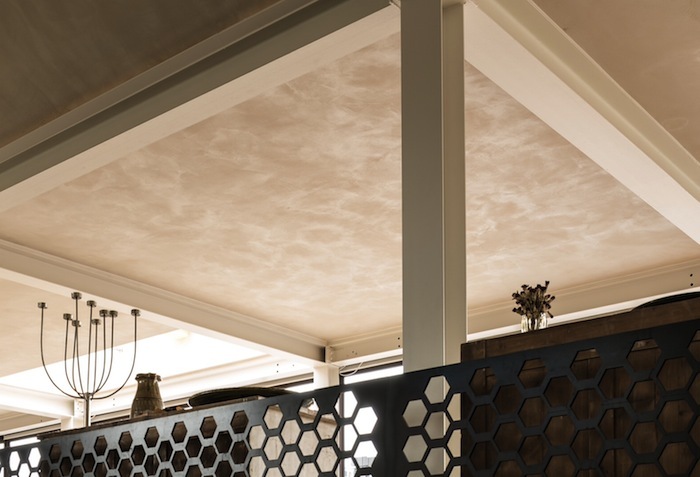 Clayworks now manufactures natural clay plaster, having spent two years creating a consistent and tested product that can be ready mixed and made available to anyone in the world at any time. Clay is one of the most naturally abundant minerals. Clare says that clay blocks and clay building methods are being rediscovered all around the world as a sustainable material with relatively low carbon intake. Clayworks focus on the application of clay as a plaster. Clay plasters are a mixture of clay subsoil, aggregates and some natural form of fibre, with clay acting as the binder. Clay absorbs moisture, so water intake is critical; too much or not enough affects the consistency. Clare explains that Clayworks comprehensively researched different clay minerals to get the mixture absolutely right, so that the clay will not crack or “dust”. Clay plasters are now used all over the world in cities and in steel and modern buildings. 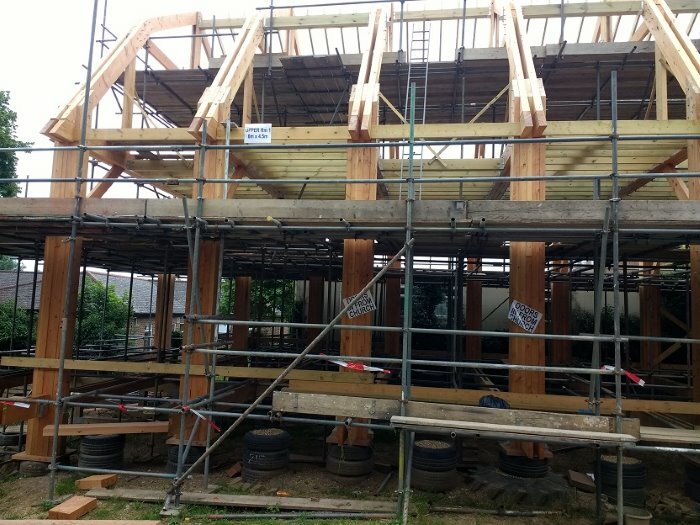 However they have typically been used a lot in straw bale constructions and buildings with a lot of timber, due to their moisture-absorbing properties, and also in Passivhaus and other buildings where sustainable building products are key. Furthermore, clay plaster helps to absorb odours and has very clear acoustic advantages, making it ideal for use in bathrooms and kitchens. 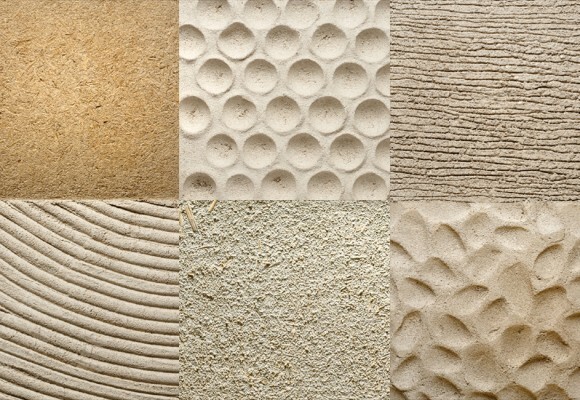 Although their clay plasters were originally marketed on sustainability and health credentials, Clare says designers and architects have adopted them for their aesthetic qualities. Clayworks’ plasters are now being supplied to customers all over the world; Clare attributes this success to their ease of use and the fact they can be trusted to stay on the walls and hold patterns, sculptures and shapes. Commercially their clay plasters have been used to fit out of well-known chain restaurants and public buildings. 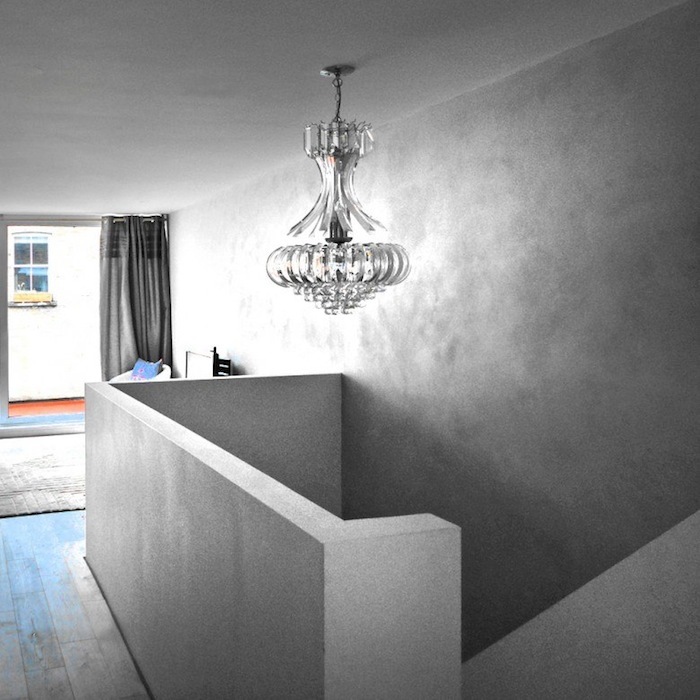 Clay plasters are ideal for internal walls and ceilings throughout a house. The only areas to avoid would be wet rooms and exteriors, where Clare would recommend lime plasters, as they are more water repellent. 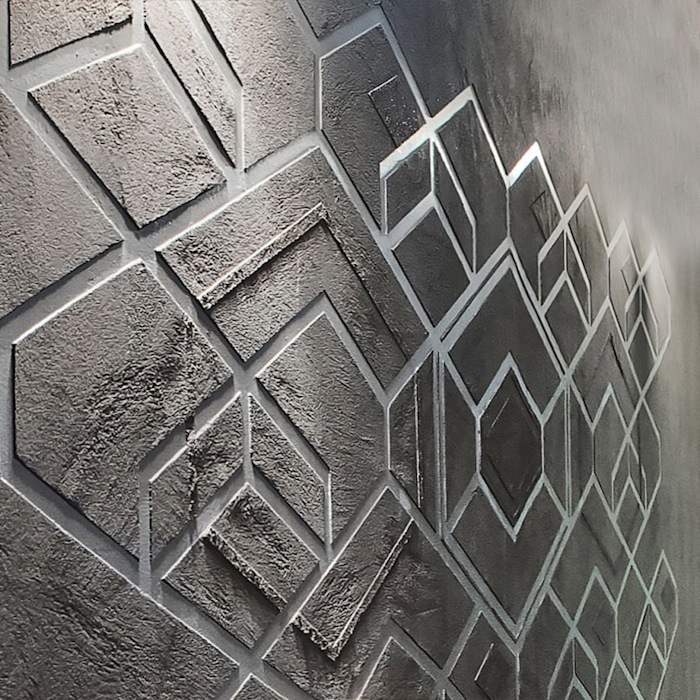 Clay plasters can also be used for feature walls and fronts of other surfaces such as kitchen interior bars and similar furniture-type applications. Clare says you don’t need specialist skills as clay plasters are applied like any other plaster; it just takes a little longer because the clay is a slightly different consistency. There is a series of different layers and depending on the substrate, you would need different binders, which Clayworks supply. A base coat and topcoat then follow. 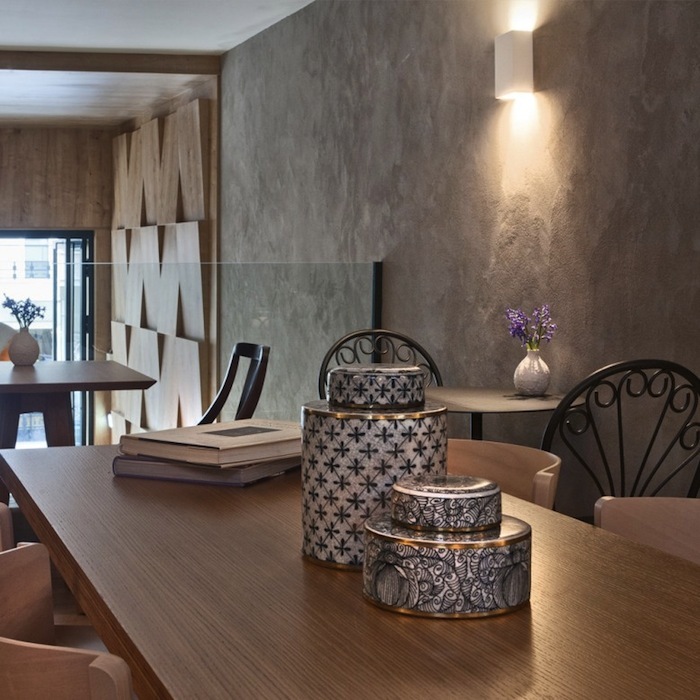 Any good plasterer can use their clay plasters to achieve a plain finish, and artisan plasterers would be able to create specialist textured or sculptural finishes. 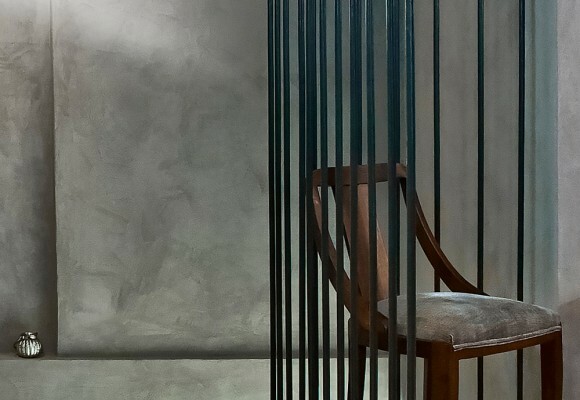 Call the Clayworks technical team who can talk you through every aspect of how to apply the clay; the services, substrates, primers and the entire plaster build-up. Visit Clayworks’ website for techniques and tips. 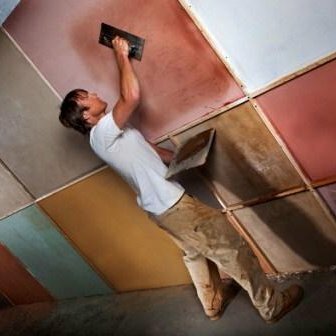 Clayworks offer one-day training courses for professionals and novice plasterers. Self-help resources, such as Using Natural Finishes, can help you learn about the process of applying clay and lime. There’s a network of recommended professionals who have been trained by Clayworks.